Amy Einhorn Books/Putnam, 9780399156342, 304pp. A haunting, deeply moving novel-an old man comes face-to-face with his past and sets out to find the love of his life and beg her forgiveness. To those around him, Emmet Conn is a ninety-two-year-old man on the verge of senility. But what becomes frighteningly clear to Emmet is that the sudden, realistic dreams he is having are memories of events he, and many others, have denied or purposely forgotten. "The Gendarme" is a unique love story that explores the power of memory-and the ability of people, individually and collectively, to forget. Depicting how love can transcend nationalities and politics, how racism creates divisions where none truly exist, and how the human spirit fights to survive even in the face of hopelessness, this is a transcendent novel. Mark T. Mustian is an author, attorney, and city commissioner. He lives with his wife and three children in Tallahassee, Florida. "Mark T. Mustian has written an extraordinary novel dealing with some of the most difficult issues of the twentieth century, issues that profoundly threaten this new century as well. The Gendarme explores humanity's capacity for largescale evil and how that capacity expresses itself through ordinary, smallscale, individual lives. This is a harrowing and truly important novel by a splendid American writer." "One reads this masterful work thinking all the while of its literary cousinsThe Death of Artemio Cruz by Carlos Fuentes, Faulkner's As I Lay Dying, Snow by Orhan Pamuk. Books such as these, novels like The Gendarme, writers like Mr. Mustian, keep our world afloat amidst the tempests of history. Humanity would no longer recognize itself, its enduring passions and cruelties and triumphs, without them." "I love this book. The haunting lesson from this gifted writer is that even the legacy of war cannot triumph over the human spirit. Where there is love and humanity, the human spirit triumphs. Read it." "The Gendarme does what few have the courage to do: haunted by memories of war crimes he committed under another name, he turns and enters his nightmare to find the woman who was his enemy then and now, decades later, is still his first great love. Mark Mustian shows the reader what the face of history looks like without the makeup. Mainly, though, he paints an unforgettable portrait of the human spirit at its bravest and most resilient." "Ahmet Khan's spiritual transition to Emmet Cohn is emotionally resonant. This is an important and unique journey told with compassion and a stirring sense of humanity." "Why are war stories so often truly love stories? Because, as Mustian proves in The Gendarme, love in the face of war gives testimony that love endures our savagery, our violence, our hatred. 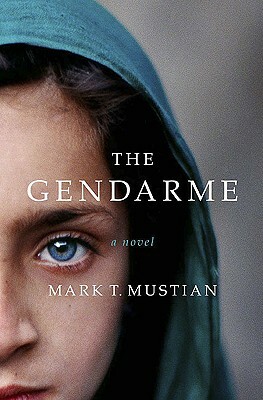 In this powerful retelling of the horrible crimes committed against Armenians at the beginning of World War I, The Gendarme is a beautiful, haunting tale of survival and resilience."